It’s with great pride and pleasure that I share ONeil Interactive’s newest accreditation. 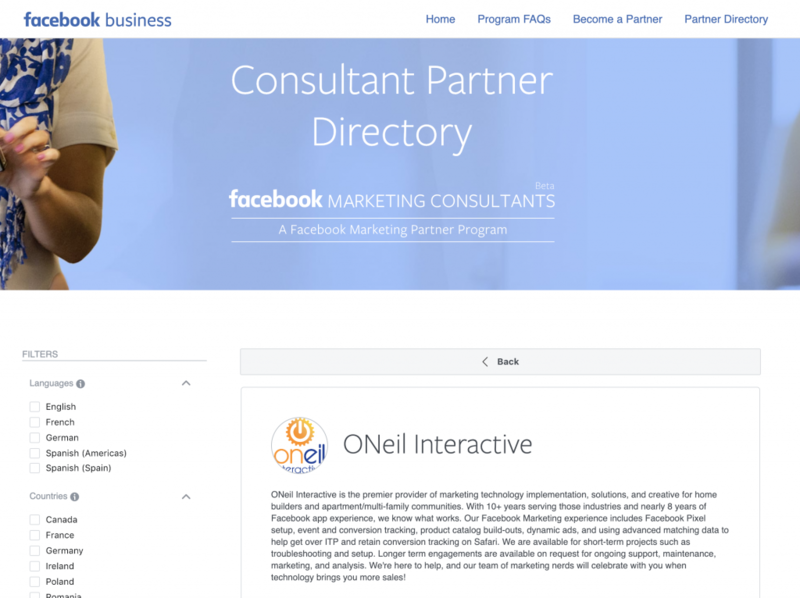 One of only 8 companies in the United States, ONeil Interactive is an official Facebook Marketing Consultant, part of the Facebook Marketing Partners program. We’ve been singing the praises of Facebook marketing for the home building industry since the early days. Over time, Facebook has evolved from a social powerhouse to an effective advertising network with targeting options only they can provide. Albeit somewhat risky, it’s still possible for a beginner to run a simple and effective campaign using Facebook Ads. That scenario is also a little like driving a Ferrari in a parking lot — the potential for so much more is eager to be realized. Facebook has seriously upped its martech (marketing techonology) in the few years since I attended the Facebook Global Partners Summit — and they were already moving fast then. It’s moved beyond the simple tracking pixel of competing networks to add full-scale website and audience analytics, tracking for events and conversions, and dynamic shopping tools. 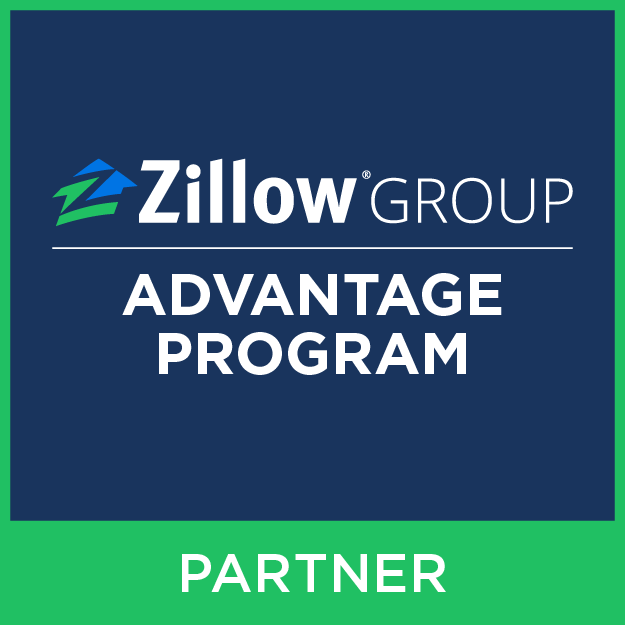 Capabilities are evolving rapidly and it’s an exciting time to be an official Facebook Marketing Consultant for home builders. Being a part of the program means that ONeil Interactive’s work deploying advanced implementations of Facebook’s hi-tech marketing tools has been reviewed and certified. Below are some examples of how a home builder might want or need the services of a Facebook Marketing Consultant. You want to move beyond web metrics like bounce rate and time-on-site, to more actionable insights like visitor demographics and interests. You’ve heard how Apple is making conversion tracking extra difficult on Safari, so you want to leverage what you heard about Facebook’s Advanced Matching to make sure your leads can be properly attributed to their source. In addition to conversions, you also want Facebook reporting to include leading behaviors of web visitors (like saving a favorite floor plan) so it can better target your audience. You want Facebook to automatically create “look-alike” audiences of people to target based on others that have already purchased a home from you. These are just a few ideas, as the possibilities really are limitless. The good news is that we can help you with all of these things. And for home builders using Homefiniti, some of these things are already happening for them. There are few things I find more enjoyable than a conversation about marketing possibilities. Yes, I’m a nerd. If you have an idea you want to discuss, or you want to bounce around a “what if?”, give me a call. I’d love to chat — 443-324-7564.